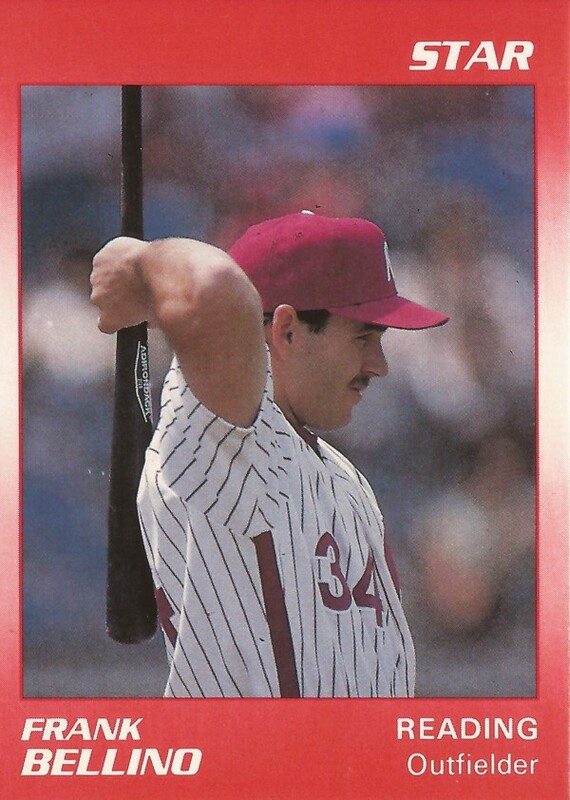 Frank Bellino played in the Reading outfield in 1989. He also spent time as a designated hitter. To The Reading Eagle that August, Bellino said he was fine in either role. "I just like to play every day," Bellino told The Eagle. "Against righties or lefties, it doesn't matter to me as long as I'm in there." Bellino ended up being in there for various teams over a total of eight seasons. He spent those eight seasons between the minors and Mexico. He never got into a major league lineup. Bellino's career began in 1985, taken by the Orioles in the 25th round out of Mount San Antonio College in California. Bellino started with the Orioles at short-season Newark. He hit .236 in 72 games. He split 1986 between Newark and single-A Hagerstown. He hit .270 between them, with 17 home runs. Bellino stayed with the Orioles through mid 1988. He made AA Charlotte with the Orioles and moved to AA Reading after being traded to the Phillies. He also played briefly at single-A Fresno that year. He hit .282 on the year. He returned to Reading in 1989, making the all-star team. He hit .285, with 10 home runs sand 77 RBI. He hit one of those home runs in an August game. That same month, Bellino was one of several players selected for a goodwill tour of the Soviet Union put on by the Eastern League called the Diamond Diplomacy tour. Bellino volunteered for the trip. "Just to see the country," Bellino told The Eagle of his reasons for volunteering. "Just to go because it is a once-in-a-lifetime opportunity. Just to go and visit with their people, see their land." Bellino played 1990 back at Reading. He also got nine games at AAA Scranton. It was his final season in the minors. He is credited with two more in Mexico, ending his career.